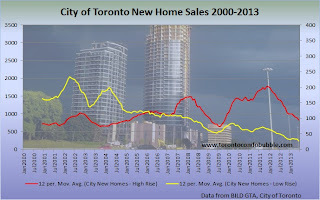 As new condo prices have plateaued over the past year, investors have lost interest in buying new apartment units. 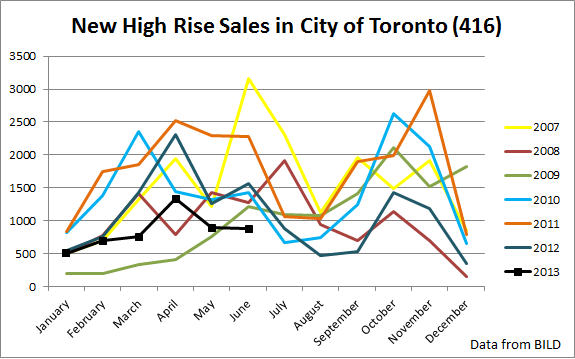 This loss of interest can be reflected by the crashing sales volume. 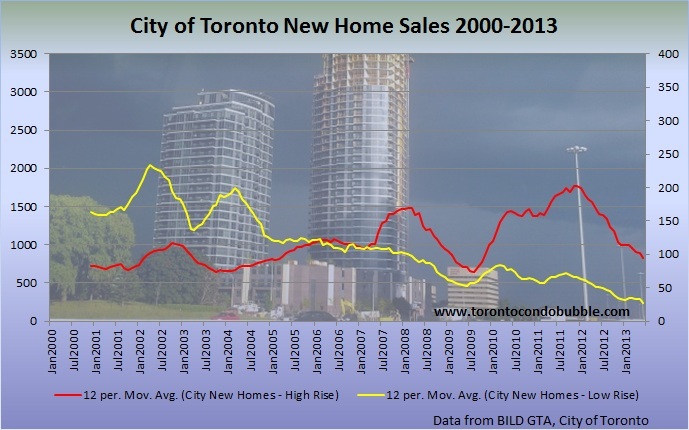 For example, new condo sales have crashed by 43% from a year earlier in the City of Toronto. 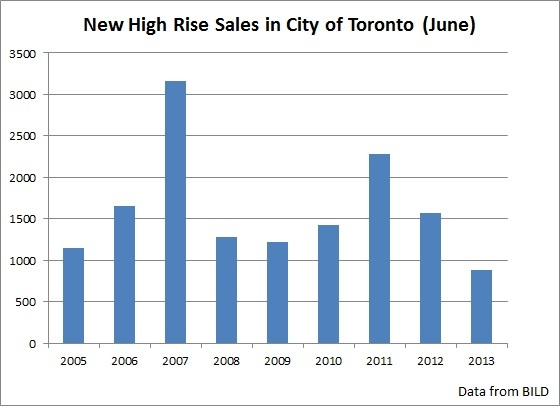 Low Rise: 1,090 sales; up +6% from June 2012; down -34% from 10 yr. avg. 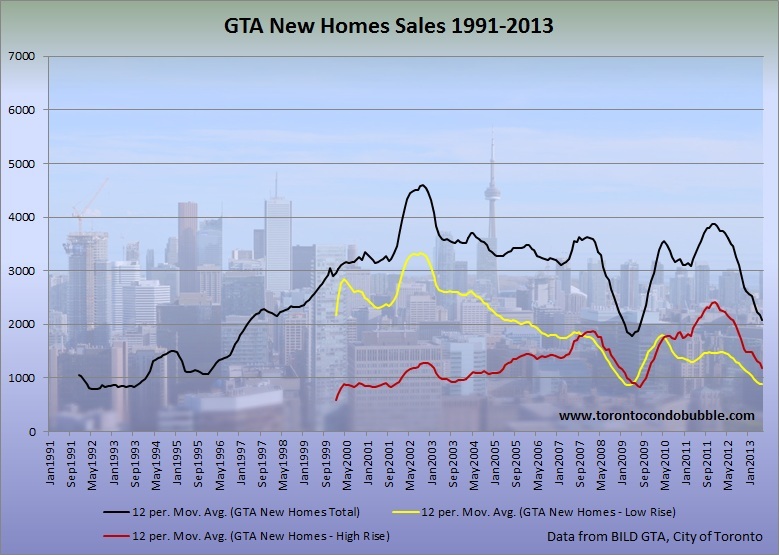 Total New Homes: 2,341 sales; down -30% from June 2012; down -36% from 10 yr. avg. 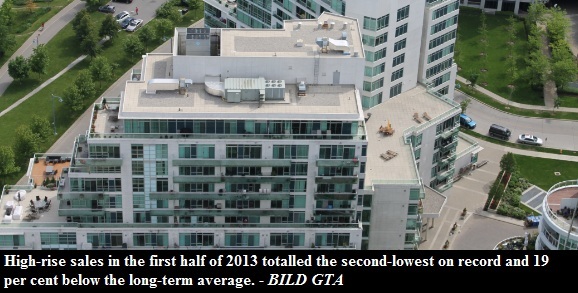 This past June new condo sales in the City of Toronto hit their lowest point in 8 years! 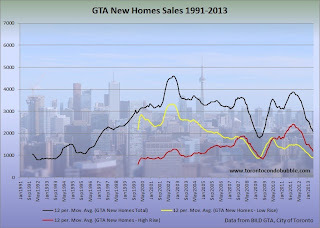 Looking at the graph above the following question arises: Why is it that new home sales are falling? There is no financial crisis right now and currently we are not in a recession, so we can rule those two reasons out. Maybe, the real reason that sales are falling is that the prices charged by developers are so high that no one is willing to pay them! 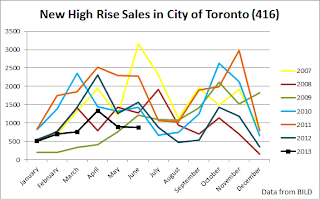 As the price growth has stalled, less and less speculators are willing to invest into the new condo market, hence the falling sales.